Demo: Recognite face images of BNK48 gen 1 group's members. 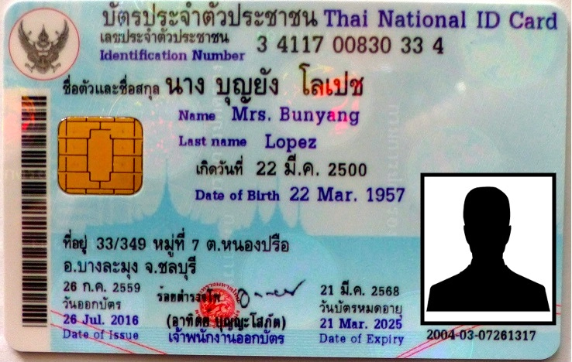 Recognite information in Thai National ID Card image (Front-face). Recognite information in Thai Car License Plate Image. Extract head and hair from any face photo for Photo ID application. Chatbot for answering all of human resource questions. For Demo, Use "000000" as a employee ID. Chatbot for E-commerce with the shopping cart system. Answer the given question by finding in the given paragraph in Thai/English language. From any Thai paragraph like "อุบัติเหตุ ถนนเพชรเกษม ขาออก จาก อำเภอนครชัยศรี มุ่งหน้า จังหวัดนครปฐม ที่บริเวณแยกทางเข้ามหาวิทยาลัยราชภัฏนครปฐม รถบรรทุก 18 ล้อ ชนกับ รถเก๋ง กีดขวางช่องขวา"
We can extract the location keywords such as "เพชรเกษม", "อำเภอนครชัยศรี", "จังหวัดนครปฐม", "มหาวิทยาลัยราชภัฏนครปฐม" and their Latitude, Longitude location.